The preparation is very easy- One of the best parts of this dish is that is very easy to make. You have to follow a very simple recipe to get the best taste. It is a Thai dish that takes maximum 15 to 20 minutes to cook. Just make sure to collect all the ingredients before you start cooking. The ingredients that are used are very simple- This dish makes use of very simple and easily available ingredients like cooked rice, eggs, fish sauce, garlic, green onions, cooking oil, white paper and crab meat. The combination of these ingredients is not only tasty but also very healthy and fulfilling to eat. It is very healthy for the body- This dish is also very healthy for the body. It is easy to digest and hence does not fells heavy to the stomach. You can make it a part of any meal of the day. Crab and rice two most important ingredients are good for consumption. Crab is rich is protein and rice is a good staple food. The cooking method is very simple- This dish is very simple to cook. Firstly, you have to heat oil and then add chopped garlic to it and the add rice and crab meat to it there after add eggs. For taste add fish sauce, white pepper. You can now serve it with garnishing of cilantro and green onions. Easy to serve- It is like a one pot dish, once it is cooked, you can serve it very easily. You have not to cook any more accomplishments in order to complete this meal. 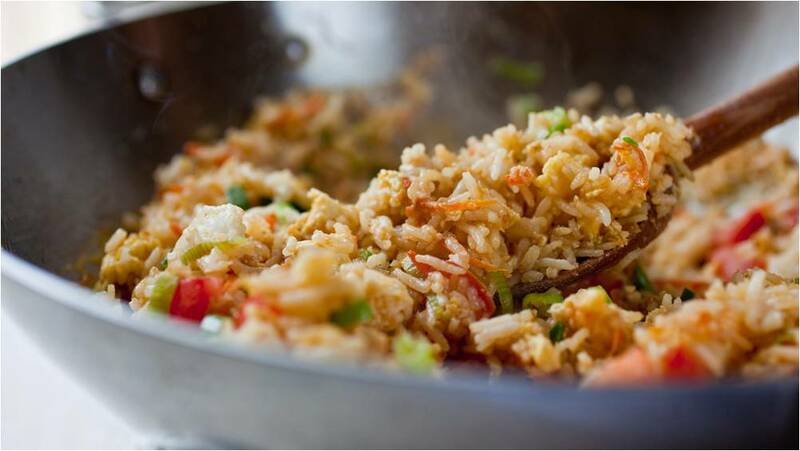 At last we can conclude by saying that this fried rice recipe is best and most liked. So, do not wait, now look for the best rice around you. The rice is the key ingredient of this dish so it is very important that the rice should be of the best quality in order to give right look for the dish. You must also make sure that you make use of a big work in order to allow an easy mixing of all the ingredients without breaking of the rice.